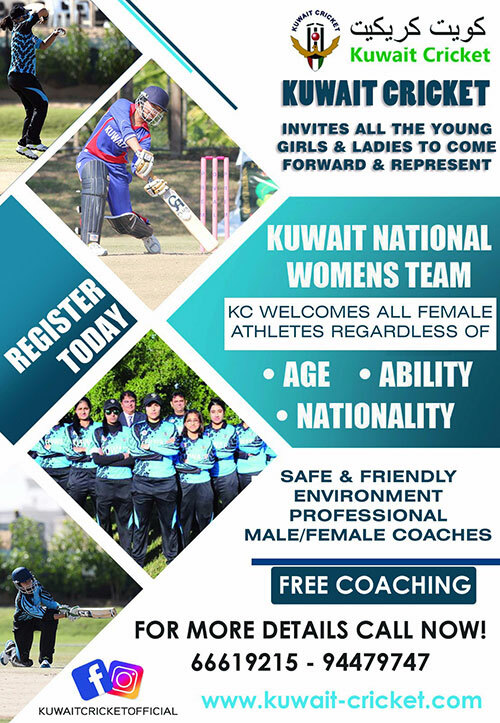 Kuwait Cricket invites all the young girls and ladies to come forward, join and represent the Kuwait National Women's Team regardless of age, ability and nationality. There will be free Coaching. Its Safe and friendly enironment with Professional Male/Female Coaches.